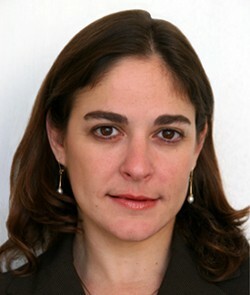 WOMAN WITH A PLAN: Caroline Glick, famed columnist of the Jerusalem Post, whose new book, “The Israeli Solution: A One-State Plan for Peace in the Middle East,” deserves to be widely read on Capitol Hill. How about the Glick Plan? No one is calling it that — yet. It is being advanced by one of Israel’s most brilliant journalists, Caroline Glick, in a new book, “The Israeli Solution: A One-State Plan for Peace in the Middle East.” It sketches an alternative to America’s pursuit of a two-state plan in a region where only one state has managed a real democracy. Ms. Glick’s idea is for Israel formally to incorporate the West Bank into its sovereign territory and govern it as part of a single state. It’s a radical proposal advanced in time’s nick for those who doubt the framework Secretary of State Kerry is seeking for talks about a two-state solution. She lays the arguments out beautifully, and her plan deserves attention on Capitol Hill. No doubt it will be attacked as a flirtation with bi-nationalism, a movement that would end Israel’s existence as a Jewish state and establish a secular state that, in theory, has no religious identity. Bi-nationalism in recent decades has been embraced by scores of foes of Zionism, including Edward Said, John Mearsheimer, and Tony Judt. Ms. Glick’s vision is different. She is for a single Jewish state. She calls the two-state solution — the idea of a Palestinian Arab state beside Israel — “among the most irrational, unsuccessful policies the United States has ever adopted.” She counts more than a dozen efforts to advance it over the past 90 years. Between 1970 and 2013, she reckons, America alone presented nine two-state peace plans. One part of Ms. Glick’s book reprises how the movement for Palestinian Arab statehood was poisoned by the collaboration of the Jerusalem mufti, Haj Amin el-Husseini, and Hitler. I’ve long thought this element of the story is too little appreciated. Why should the Palestinian Arabs be the only ally of Hitler to be shielded from the consequences of the Nazi defeat? Another part of Ms. Glick’s book focuses on the demographic argument for a two-state compromise. Caviling about population trends has always struck me as a pernicious line, presupposing, as it does, that the Jewish people, so ingenious at so many things, cannot compete in going forth and multiplying. This assumption is even eating at Mr. Obama’s confidence in the Jews. That jumps out from Jeffrey Goldberg’s latest — and now famous — interview with the President. Mr. Obama pointedly warned of what Mr. Goldberg characterizes as a “demographic disaster,” in which Israel could lose its Jewish majority. An inclusive vision is sketched by Ms. Glick for the Arab minority. She extrapolates from the experience of the Druze, whose religion is an offshoot of Shiite Islam. On the Golan Heights they have been living under Israeli law since Prime Minister Menachem Begin began applying Israeli law there in the 1980s. It would be inaccurate, absurd even, to suggest that the Druze or Palestinian Arabs living under Israeli sovereignty are entirely happy. Nor does Ms. Glick ignore the resentments. It would also be inaccurate, in Ms. Glick’s telling, to suggest there are no signs for hope that a modus vivendi could be found. Ms. Glick writes of Corporal Eleanor Joseph, the first Arab woman to become a combat soldier in Israel’s army. And of Anet Haskia, who is an Israeli Arab Muslim mother of three soldiers in the Israeli army and who rails against life in Syria, saying “I thank God every day that I was born in the Jewish state.” Glick also writes of the formation of a new, pro-Israel integrationist Arab party. How striking it is, meantime, that the Left is the faction wanting a two-state solution that shears from Israel a large potential Arab population, while it is the right, which Ms. Glick represents, that is plumping for an Israel with a larger Arab population. When it comes to inclusiveness, who deserves to be on the defensive? The best part of Ms. Glick’s book is her comprehension of Jewish rights to the land of Israel, not only within the 1967 lines, but in Judea and Samaria. She has no apology for Jewish standing, a refreshing change from what we’ve so often heard in the generation of dickering since Oslo. It would be nice to think that as the current negotiations drag on, the Glick Plan could emerge in a new light. Which is something to think about as President Obama gets ready to sit down next week with Mr. Abbas, who has no democratic mandate to speak for anyone. Suppose he doesn’t come to terms with Secretary of State Kerry. Who is the bigger loser, the Palestinian Authority or Israel? Is the option with which the Palestinian Arabs are left — war — better or worse than the option Ms. Glick proposes, of incorporating the ancient lands of Judea and Samaria into the Jewish state? It’s starting to gain some traction out there.